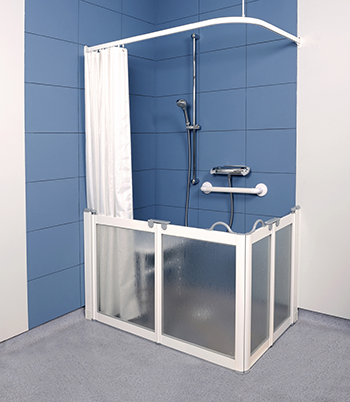 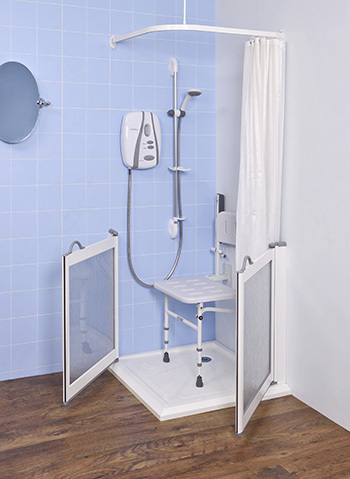 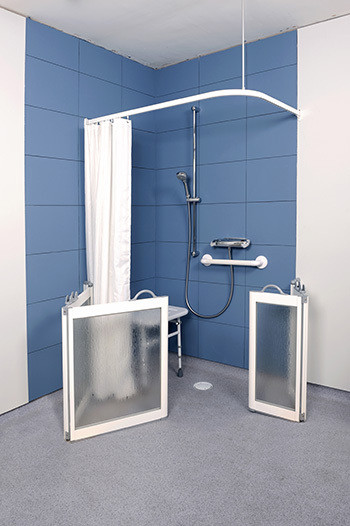 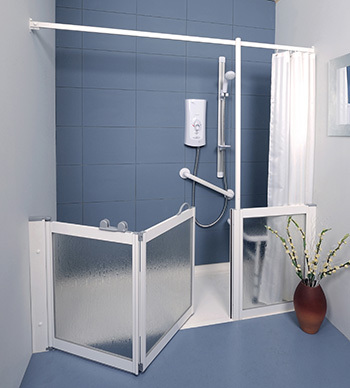 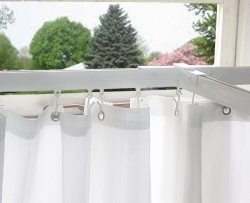 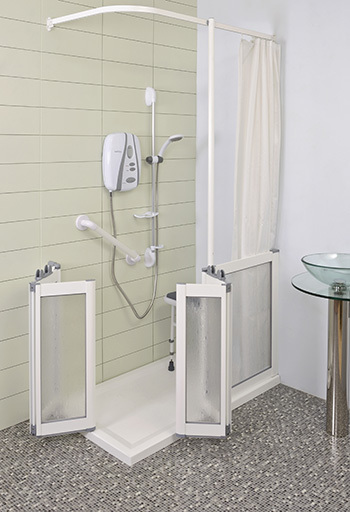 Sliding door can extend across the shower area and opens outwards. 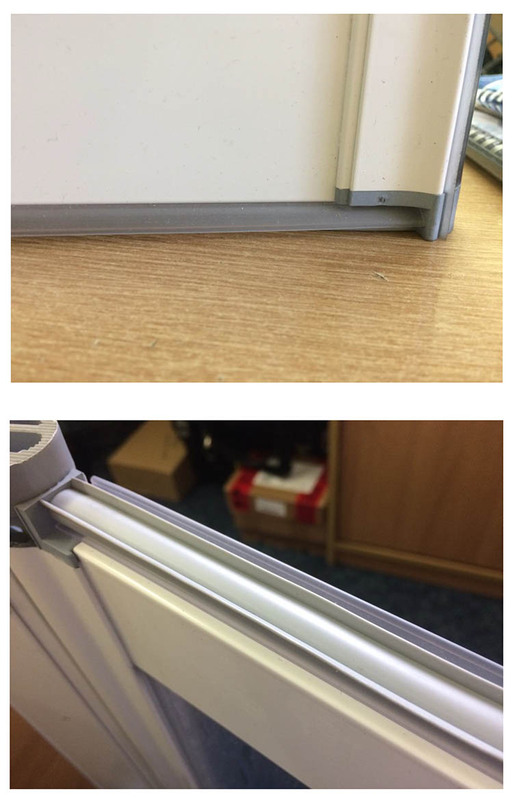 Meets a fixed panel. 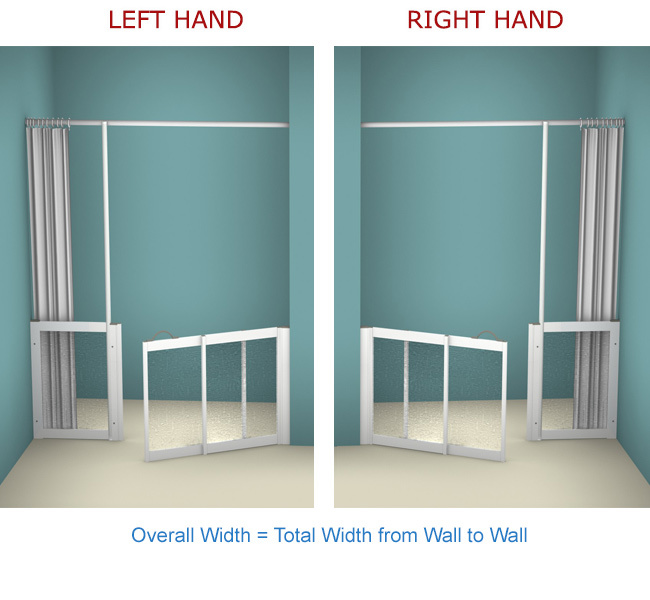 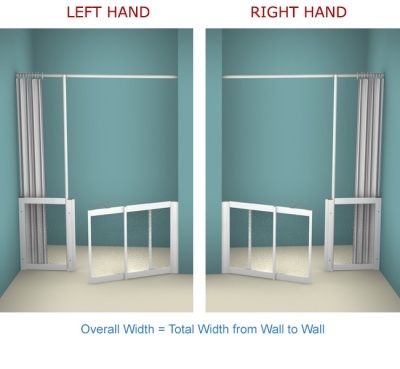 Will fit between two walls minimum 1375mm, maximum 1850mm.